Lyft is a rideshare company that came about after the success of Uber. It functions in the same manner – riders with the app can request to be driven to a destination, and the drivers will be able to accept the rides. The common issue lies in the business practices of Lyft; some drivers are not safe, choosing to speed and rush through traffic to get their customers to the destinations as quickly as possible, while others have a history of careless or reckless driving tickets and charges. Lyft has hired numerous kinds of drivers, but it initially did not want to be held responsible for those drivers’ actions. The company eventually relented and was forced to pay for insurance coverage and to acknowledge that Lyft drivers are akin to employees. If you have questions about what to do if your Lyft driver gets into an accident, what to do if injured in a Lyft ride, or what to do if your Lyft is in an accident, our team of expert lawyers at Kenmore Law Group can help. We can tell you what you should do and will gladly help you understand the process of filing a lawsuit against the company for a Lyft accident passenger injury. If you have been injured because your Lyft got into an accident, you should take certain steps to ensure that you will be protected if you choose to file a claim for compensation. Our law group routinely helps victims of Lyft accidents; we have received phone calls from people who are five minutes removed from a crash and people who were hurt months before. These steps will help you know what to do if an injury occurs. The first thing you should do after a Lyft accident is to make sure you are not injured. Your health is of paramount importance, and you need to be certain that you are healthy and not gravely wounded. If you have been hurt, you should wait for the paramedics to come so you could be evaluated at the scene of the accident or transferred to urgent or emergency care. If you’re able to walk away from the accident, you should still go see a doctor within the week; the longer you wait, the more likely it is that any subsequent injuries you sustain will be scrutinized by Lyft’s insurance agency; they will claim that the injuries must have happened outside of the accident because of the time it took for you to go see a doctor. You should ask for a copy of the medical report, your hospital fees and bills, and any notes from the healthcare professional. It is crucial that you take photos of the accident no matter what party you are. As a passenger, you should have ample pictures of the scene of the crash and the responsible driver, as well as your own driver. If you were operating the Lyft vehicle, you should have pictures of the damage to your car and the accident scene. If you were struck by a Lyft driver, you should have photos of everything possible. It is very important that you record your injuries, whether in picture or video form. Next, you should get the police involved if there were various injuries, and you should acquire the police report from the force. The report may be released to you immediately or you may have to wait for it to process. If you suffered a Lyft passenger injury, you should take screenshots of the ride information on your phone and save them to the Cloud or somewhere else where the photos will be digitally safe. You should also have a record of your ride, whether by ride history in the Lyft app or credit card information showing that you paid for the trip. Any witnesses who were nearby can be interviewed; you should take statements from bystanders and other passengers who saw what happened. The insurance information of the responsible driver must also be recorded. Although you will likely choose to sue Lyft for the accident and receive compensation, it is still important that you have the personal details and insurance policy of the liable driver in your evidence package. Finally, it is extremely important that you learn more about what to do by contacting a skilled Lyft accident lawyer. We’ll tell you what you should do in the event of a crash and will help you sort through all the evidence and file a claim. I Was in a Lyft Accident. What Do I Do? If you were in a Lyft accident, here’s what you should do. Photograph the damage to your car or belongings. Print a receipt of the Lyft ride if you were a passenger. Record the insurance information of the responsible driver. Request a copy of the medical report and your medical bills. File an incident report with Lyft. Contact a talented Lyft accident lawyer to help you figure out what to do next. What Should I Do after a Lyft Accident? You should make sure not to leave evidence if you can help it. For example, you need to write down the name, personal details, and insurance information of the driver who hit you; if you do not have this information, you won’t be able to target a specific insurance company and pursue compensation. You should make sure that you go to the doctor to be checked up – some injuries take days to manifest, and Lyft’s insurance agency can easily claim that you were hurt elsewhere if you take too long to seek medical attention between the accident and the visit. Further, it’s crucial that you seek an attorney to help you understand what you should do after a crash. Not many individuals know what to do immediately following a car crash, especially if it involves a service like Lyft. I am a Lyft driver and I Got Injured in an Accident. What Do I Do? If you are a Lyft driver and you were injured in an accident, you should file an incident report with Lyft and make sure that you are covered. Lyft’s insurance policy covers its drivers in two stages. When the app is on but you have not yet accepted a rider, you have up to $50,000 in liability coverage; when you accept a ride, are en route to the customer, and throughout the duration of the trip with the customer, you are covered for up to $1,000,000 in liability (as is the rider). Further, if you strike an uninsured or underinsured motorist, the coverage is also $1,000,000. After any accident, contact Lyft and notify them of the incident. You can file a complaint if there were certain circumstances that contributed to your crash, or you could ask Lyft to pursue further action. You should make sure you contact a Lyft accident lawyer immediately afterward, though, so you can have the best advice on how to move forward with a lawsuit if the company rejects your claim for compensation. With all personal injury lawsuits in California, you have 2 years from the date of the injury to file a lawsuit or you will have missed the statute of limitations. There are exceptions to this rule, of course, and your lawyer can give you more details on what they are. Further, you must be able to prove the four points of negligence if you wish to sue a driver or Lyft for compensation. You must be able to show that you were owed a duty of care, the duty of care was breached, the breach resulted in an accident, and the accident caused you physical harm. A skilled lawyer will be able to help you prove these points. The key point here is the physical harm: if you were not injured, you will not be able to file a personal injury lawsuit. Instead, you could file a claim seeking damages for lost wages and broken property. For those types of claims, you may not require an attorney, as the damages and process will be very straightforward with little room for negotiations. For all other incidents and needs, though, it is crucial that you reach out to a talented Lyft accident lawyer in Los Angeles. We can help you receive coverage for your medical expenses, lost wages, damaged property, pain and suffering, and much more. At Kenmore Law Group, we promise to do all we can to win your case. We dedicate ourselves to our clients and do not step pursuing your rightful compensation until we are satisfied with the result. If we do not come to an agreement with the insurance company, we will take your case to court. Our lawyers are aggressive and do not stop until you receive a worthwhile amount of money for the damages you suffered after a Lyft crash. Call us today to set up a free legal consultation with a skilled lawyer. You can ask us questions and we’ll look over your case. We’ll tell you what we believe it is worth and how we can help. All of our consultations are completely confidential, so you don’t have to worry about your personal information being leaked anywhere. 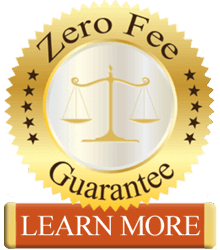 If you select us to represent you, we’ll give you our zero fee guarantee. This promises that you won’t pay any out of pocket expenses for our help. We don’t get paid unless and until we win, and the money will come from the settlement we bring you; if we lose, you will owe us nothing whatsoever. Contact our expert lawyers at Kenmore Law Group in Los Angeles for more help figuring out what to do after a Lyft crash.